HQ40d meter 可任意搭配溶氧,pH酸鹼值,導電度,TDS,鹽度, ORP, ISE感測電極. 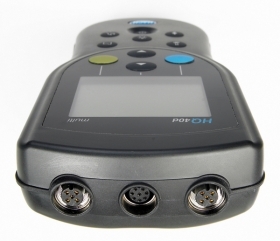 Designed for your water quality applications measuring pH, Conductivity, TDS, Salinity, Dissolved Oxygen (DO), ORP and ISE, the Hach HQ40D portable multi meter is a two channels advanced handheld digital meter that takes the guesswork out of measurements. 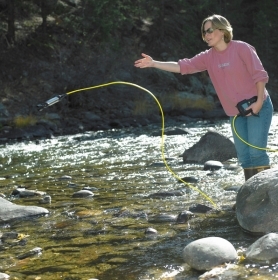 Rugged multi meter for outstanding and flexible field water testing. 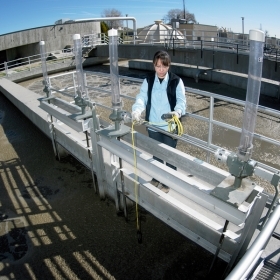 Dual input channels for flexible measurements without the need for multiple instruments, for pH, Conductivity, Resistivity, Total Dissolved Solids (TDS), Optical Dissolved Oxygen (DO), Biochemical Oxygen Demand (BOD), Oxidation Reduction Potential (ORP), Ammonia, Ammonium, Fluoride, Chloride, Sodium, and temperature - connect to any Intellical™ smart electrode, sensor or probe. Guided calibration and check standard routines reduce calibration errors while stabilization alerts and visual measurement lock ensure that you can trust the accuracy of the results. Calibration status indicator and custom calibration alerts ensure accurate results. Calibration history allows quick and easy change out of probes without re-calibrating. The HQD™ smart system records serial numbers, current calibration data, user ID, sample ID, time, and date automatically in the data log for complete Good Laboratory Practice (GLP) traceability. Error-free O2 results without calibration or replacing the electrolyte. All connections between the meter and the probe are secure and waterproof. Connectors can be color-coded for quick identification. Information is clearly displayed on the one screen with back light for low light conditions. Display results can be enlarged. Rugged and waterproof meter design provides worry-free, reliable operation in field environments. 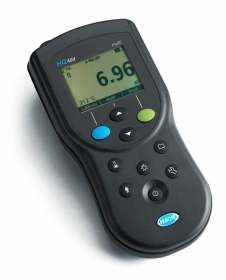 Data Transfer Utility allows transferring measurement data directly from your Hach HQd Series Meter to a computer. For use with all HQD instruments (HQ11D, HQ14D, HQ30D, HQ40D, HQ440D, HQ411D) - Portable and Laboratory models. Only for computers running Microsoft® Windows® 7 and later operating systems. Administrative privileges are required to install this application on your computer. 1. Save zip file on computer. Current software for all HQD instruments (HQ11D, HQ14D, HQ30D, HQ40D, HQ440D, HQ411D) - portable and tabletop. 3. Save files to empty USB stick.